Product prices and availability are accurate as of 2019-04-17 16:35:56 EDT and are subject to change. Any price and availability information displayed on http://www.amazon.com/ at the time of purchase will apply to the purchase of this product. KDT9028 Features: -Ergonomically designed beam for comfort and leverage.-Uses only 5 of swing for tight access performance.-7/8in. 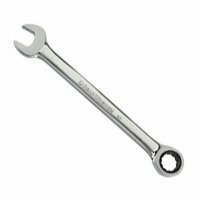 Combination Ratcheting Gear Wrench. Color/Finish: -High polish chrome finish and fully hardened forging for optimum performance. Warranty: -Lifetime warranty does not cover abuse..